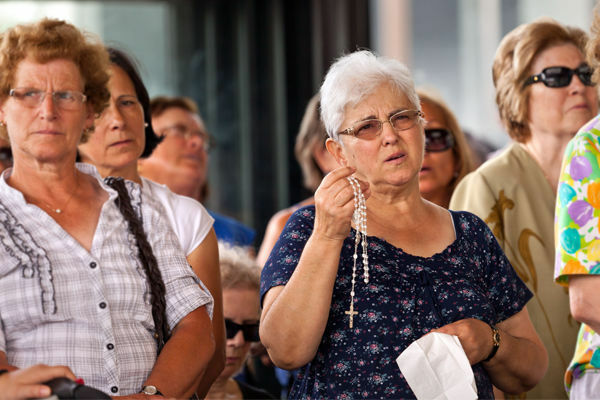 In what might be mistaken for a God-forsaken corner of central Portugal, tens of thousands witnessed an apparition — and the lonely little town of Fátima became a major pilgrimage site for Catholics. It started on May 13, 1917, when three children were tending sheep. Suddenly, the sky lit up and a woman — Mary, the mother of Christ, "a lady brighter than the sun" — appeared standing in an oak tree. In the midst of bloody World War I, she brought a message that peace was coming. The war raged on, and on the 13th day of each of the next five months, Mary dropped in again to call for peace. Word spread, bringing many curious pilgrims. The three kids — Lucia, Francisco, and Jacinta — were grilled mercilessly by authorities trying to debunk their preposterous visions, but the children remained convinced of what they'd seen. Finally, on October 13, 70,000 people assembled near the oak tree. They were drenched in a rainstorm when all of a sudden the sun came out, grew blindingly bright, danced around the sky (writing "God's fiery signature"), then plunged to the earth. When the crowd came to its senses, the sun was shining and the rain had dried. In 1930, the Vatican recognized the Virgin of Fátima as legit. 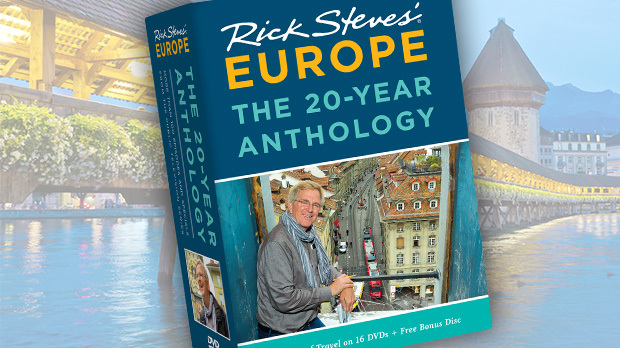 Today, tens of thousands of believers come every year to rejoice in this modern miracle. 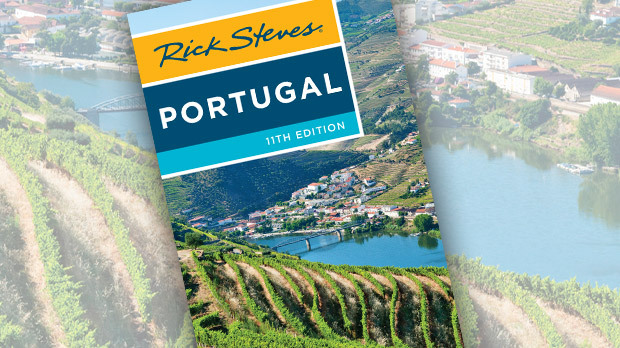 Many walk from as far away as Lisbon — 80 miles away. 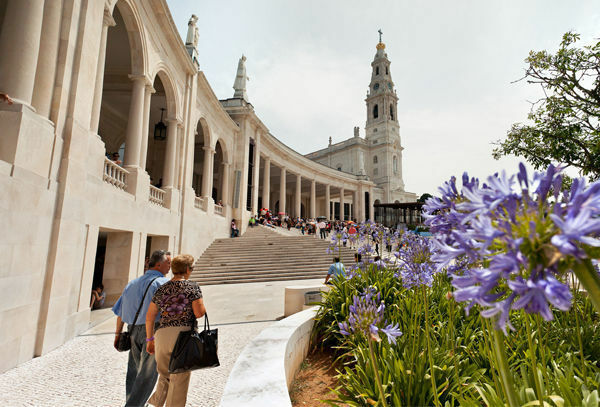 The pilgrim-friendly Fátima is a welcoming place even if you're just a curious gawker. It's a huge complex, with two big churches bookending a vast esplanade adjacent to a practical commercial center. Wandering through the religious and commercial zones, you see the 21st-century equivalent of a medieval pilgrimage center: lots of beds, cheap eateries, fields of picnic tables and parking lots, and countless religious souvenir stands — all ready for the mobs of people who inundate the place each 12th and 13th day of the month from May through October. The esplanade, a huge assembly ground facing the basilica, is impressive even without the fanfare of a festival day. The fountain in the middle provides holy water for pilgrims to take home. 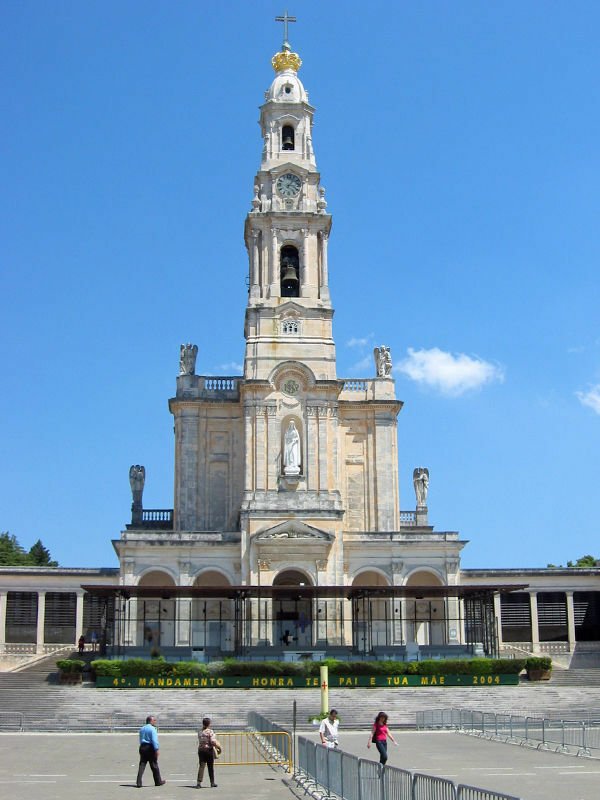 You'll see the oak tree and Chapel of the Apparitions marking the spot where Mary appeared; a place for lighting and leaving candles; and a long smooth route on the pavement for pilgrims to approach the chapel on their knees. The towering Neoclassical basilica, finished only in 1953, has a 200-foot spire with a golden crown and crystal cross-shaped beacon on top. Its facade features Mary of the Rosary, flanked by mosaics in the porticoes of the Stations of the Cross (under statues of the four Portuguese saints). At the top of the steps, an open-air altar, cathedra (bishop's chair), and pulpit await the next 13th of the month, when the masses will enjoy an outdoor Mass. Inside the basilica, huge letters arc across the ceiling above the altar, offering up a request for Mary in Latin: "Queen of the Holy Rosary of Fátima, pray for us." A huge painting depicting the vision is flanked by chapels dedicated to the Stations of the Cross, and the tombs of the children who saw the vision. Two died in the flu epidemic that swept the world shortly after the visions. Lucia (the only one with whom Mary actually conversed) lived as a Carmelite nun for most of her life, and passed away in 2005 at the age of 97. Pope John Paul II kicked off the construction of Fátima's grand new Church of the Holy Trinity with a stone from St. Peter's actual tomb in the Vatican. Completed in 2007, the huge new church can hold 9,000 devotees. It's circular to symbolize the world, and its striking design is intentionally multinational: The architect was Greek, the large orange iron crucifix in front is German, the dazzling mosaic mural is Slovenian, and the crucifix at the altar is Irish. Outside, statues of two popes kneel facing the esplanade (Paul VI, who was here on the 50th anniversary in 1967, and John Paul II, who had a special place for Fátima in his heart and visited three times). On festival days, up to 100,000 pilgrims come to Fátima. Some shuffle on their knees, traversing the mega-huge, park-lined esplanade. In 1967, on the 50th anniversary of the miracle, 1.5 million pilgrims gathered here. Whether you're a devout Catholic or just a curious onlooker, a visit to Fátima provides a chance to marvel at the power of faith: Two huge churches and millions of pilgrims — all of it started by three young children and "a lady brighter than the sun."